Retail News? OK, I wasn't sure how to title this post but it's mostly about some brand-new "Batman" products that are either out now or coming soon. 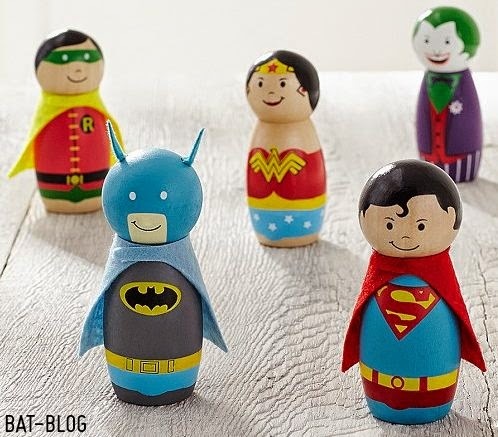 First off, we got these super-cute little wood figures of DC Comics Superheroes. The set includes: Batman, Robin, Superman, Wonder Woman and The Joker! These are available at Pottery Barn. Next, the British UK Toy Company that makes that series of "Automobilia" Batmobiles just issued a photo of their next release. 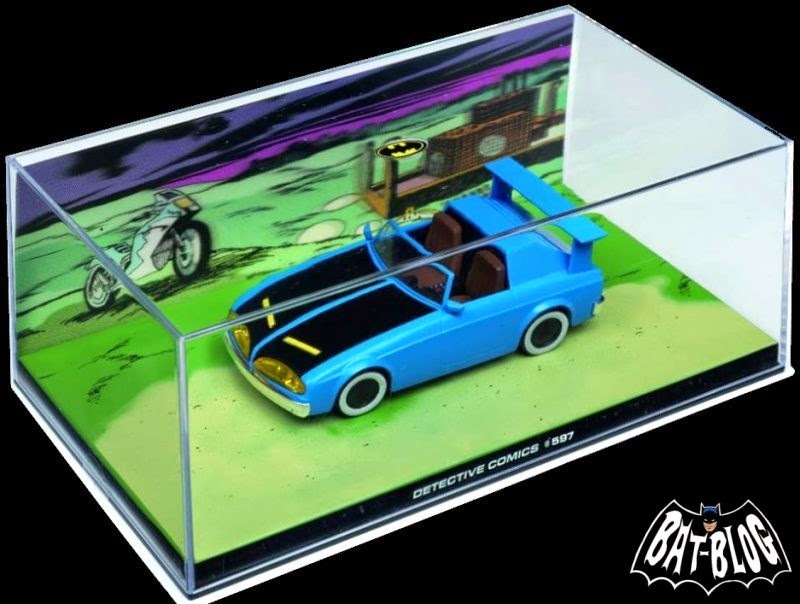 It's Batman Car # 48 in their series and it originally appeared in Detective Comics #597, which was from 1989. Then, last but not least. Here's a product that is probably NOT in stores, nor ever will be again. This is the new "Batman" T-Shirt that has got a lot of hype and bad press. 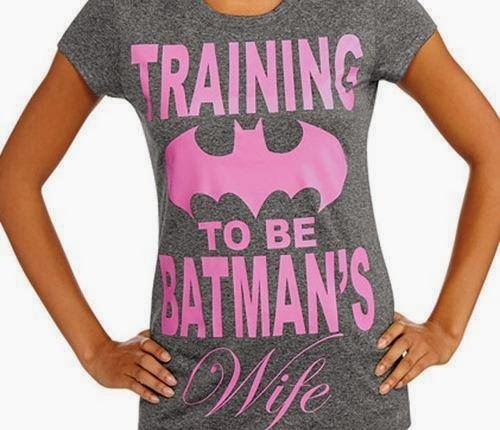 DC Comics made this shirt for Wal-Mart Stores to sell and some Neo-Feminists fought against it saying it's totally sexist because it says, "Training To Be Batman's Wife". OK, I think that "training a wife" is BAD IDEA but if you're getting married to Batman then you need Batarang Skills, Side of Building Climbing Skills, Martial Arts Skills, etc... I mean, you WOULD have to go through training, ha! So, DC Comics caved in and apologized, then Wal-Mart pulled it from the shelves. GIRL POWER!